Okay, if there was ever I place that I wanted to try while not really looking forward to it, Applewood Country Gifts & Teahouse would be it. I have nothing against the place; in fact, I have never stepped foot into it. However, scones, biscuits, tea and gossip are not really my thing. 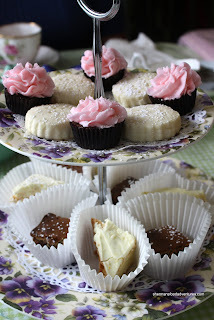 If you can remember, the only ever post about High Tea was posted by Viv. I had no part in it. However, Miss Y decided to get a group of ladies together for some crumpets (well, not really, but that sounded appropriate). I was on the invited list as well. I mulled it over for a few days and figured that this was probably my only chance to try the place out. It's a whole lot better than going solo and disturbingly taking photos of finger sandwiches in the corner. To my delight, I was not the only male in the group of 8, so I had a support system of sorts. Upon entering the place, I can see where the "Country Gifts" part of the name comes from. With a variety of knick knacks at the front, there are certainly a selection of quaint gifts. Upon further inspection, there are display cases full of fudge, baked goods and tea. Miss Y had made a reservation and there was a long table waiting for us. With a country charm, the place definitely felt homey and inviting, even for me. As some people were planning to order from the regular menu, I only had sights for the High Tea. At first, it looked as if my male counterpart was the only willing participant. Egads! Fortunately, 2 more joined in, including Miss Y. For once, she had something that the establishment was known for. 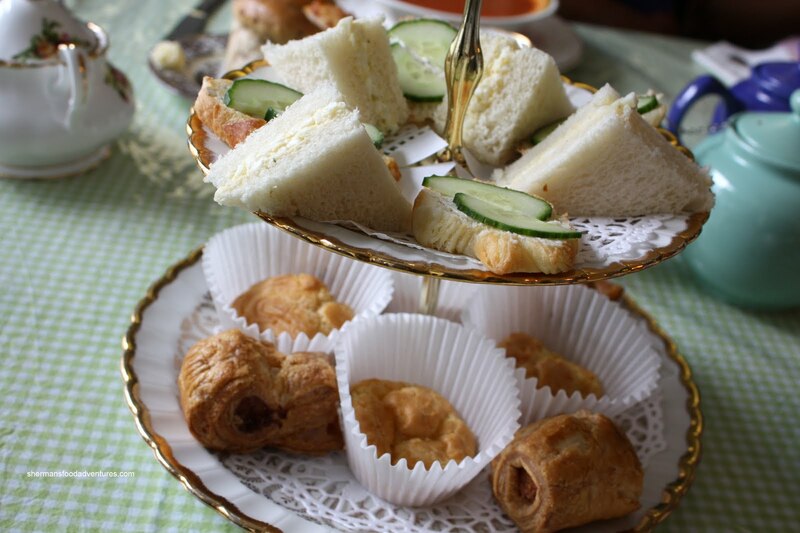 For those who are not familiar with High Tea, it is an English tradition of having tea with finger food such as little sandwiches, pastries, sweets and dainties. Add in a few scoops banter and a pinch of gossip to complete the experience. In fact, they have a wall of really cute hats, if someone wanted to go all out. I, for one, did not even consider that idea. For $20.00 per person, the High Tea here is one of the most reasonably-priced in the GVRD. So for starters, I got my tea. I picked the featured one being the Sencha Kyoto Cherry Rose. It was pretty fragrant and definitely soothing. I made sure to stick out my pinky whilst sipping. Our first course consisted of a 2-tiered serving platter with Egg Salad tea sandwiches and what looked like Cucumber & Cream Cheese on a slice of baguette. On the bottom tier, there were Mini-Sausage Rolls and something similar to a Gougère (but more eggy) stuffed with salmon. Everything was pretty decent with the sausage roll standing out. It was flaky while not being too oily. 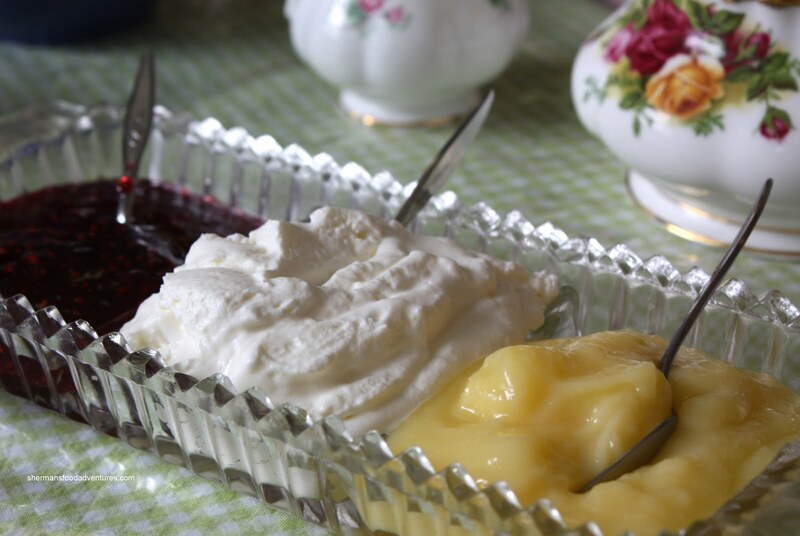 Up next was a plate of Mini-Scones served with Devonshire cream, lemon curd and raspberry jam. 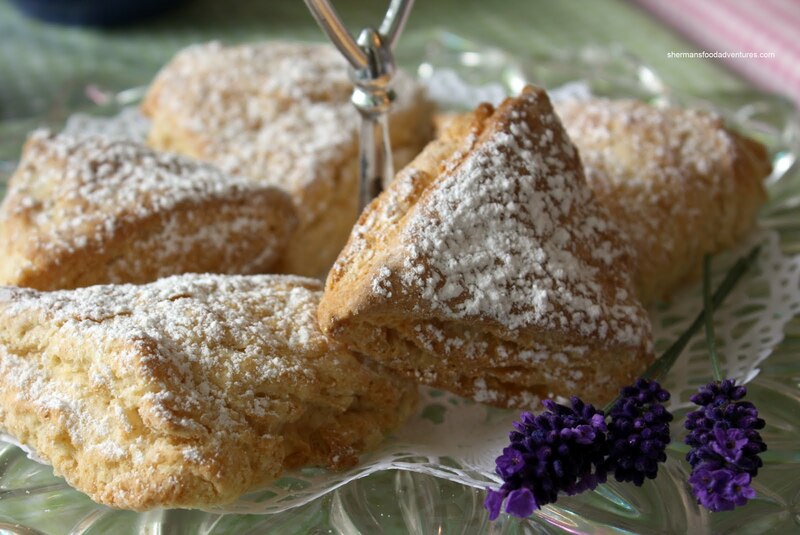 The scones were actually quite light (which is usually the opposite of what most scones are like) and that made them easy to eat. I particularly liked the lemon curd. It was tangy and had nice bits of zest. Finally, we got our last course which was also served on a 2-tiered platter. On the top were Mini-Chocolate Cupcakes with pink frosting and Shortbread Cookies. I personally dislike frosting, so I only at the cake and it was fluffy and not too sweet. I loved the shortbread cookies, they were buttery and crumbly. On the bottom tier, there was a Cream Cheese Brownie and some cake that just seemed like white cake with frosting. I ignored the cake and enjoyed the brownie. It was quite dense; but I like the addition of cream cheese because there is nothing better than adding cream cheese to anything. Of course you might be wondering if I was full from the High Tea... Well, I wasn't; but that really isn't the point. 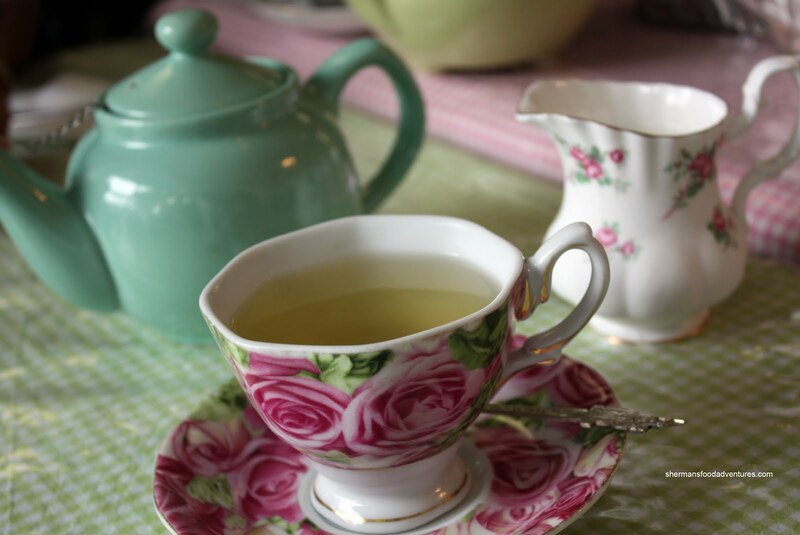 High Tea is, as the name suggests, served during tea time in the afternoon. It is more of snack than anything else. Sure, it remains somewhat pricey for what you get; yet that is not really an issue if that is the experience you are looking for. Besides, most other places charge a lot more. For me, I'm not much of a High Tea person. However, I would gladly do it again just for the heck of it. This place is on my list, but I haven't found an opportunity yet to go. Thanks for your review. This place sounds delightful for high tea and I may even wear one of the hats. Miss Y is always looking out for my best interests... LOL.. Yes, high tea is not really good value in my books; but yah, it is for the experience really. More high tea? Uh, you volunteering? Holly, it is a nice little place. 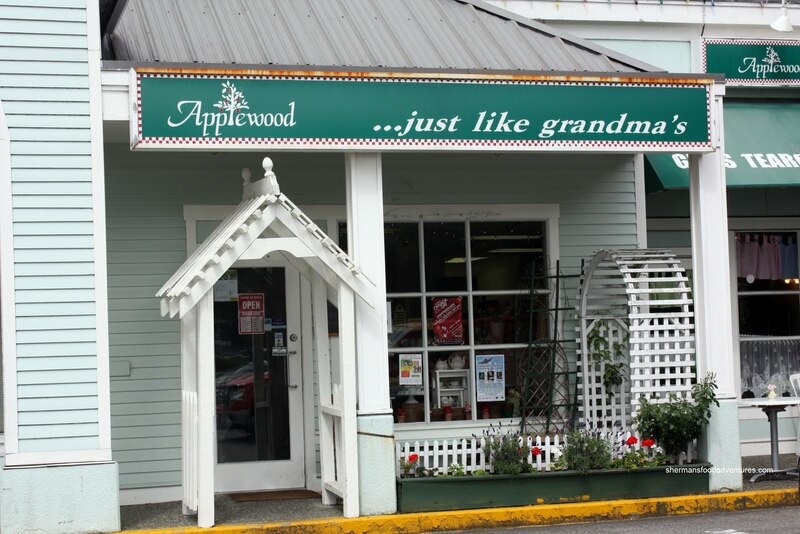 There are definitely better in Kerrisdale; but for the price, Applewood is alright. I would've never pictured myself in one of these places. But since there is one so close to me, and it's more reasonably priced.. Should I? High tea in Surrey, sounds like I should go check it out. Everything looks good, except the desserts, but for the price you really can't complain. Dave, the food didn't blow my socks off and neither should it. But for the money, it's a neat experience, especially with the right company. one of these days i will have a high tea experience. i can never justify the cost but it's definitely partly for the experience. good on you for taking part and giving us your experience... we appreciate it! Trisha, you should try it for sure. It's not good value per se, but that's not the point I suppose. After all the 'it's not a good value' complaints, I have finally found an AYCE high tea experience at Meloty at #1161-8328 Capstay Way in Richmond.. Here, the environment is very posh, with crystal chandeliers and you can even buy your very own japanese china tea set if you have $250 to spare. It's good for 10 tea and desserts and then you can take your set home after 3 months. When you consider that each cup of premium brewed tea is almost $10, I suppose that's not too bad for a real tea lover. They make their own food daily and if the mango cheesecake I tasted is any thing to go by, I bet the food will not disappoint. I was there for lunch, but I already have plans to return for their high tea.